I joined in the live cooking demo with Chef Vicky Pacheco at the The Maya's Kitchen last Saturday. Guest Chef Vicky Pacheco is Chateau 1771 Group of Restaurants’ Executive Chef and Chief Operating Officer and I just couldn't pass up on the opportunity of learning to cook Flatiron Brisket 6 and other Flatiton 1771 specialties from Chef Vicky herself. Flatiron Brisket 6 has been slow cooked for 6 hours, hence the reason for the number 6 in its name. Flatiron is their newest restaurant at Uptoen Place Mall that uses the cast iron griddle in preparing the house specialty called 'Flatiron Brisket 6'. I always wanted to cook like a pro but the kitchen proved to be a nut for me to crack. This is the reason why I always look forward to learning a few dishes from the professional chefs themselves. Attending such culinary classes is one way for me to whipped up delectable dishes for my family. Flatiron is their newest restaurant at Uptoen Place Mall that uses the cast iron griddle in preparing the house specialty called 'Flatiron Brisket 6. '.it on August 31, Saturday, Learning is fun at The Maya Kitchen. 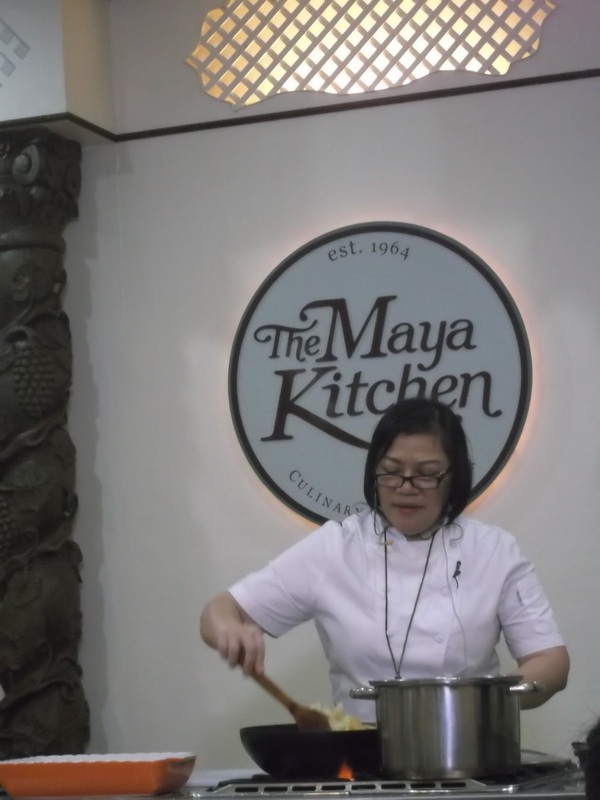 Learning is fun at The Maya Kitchen and I learned a few things from Chef Vicky Pacheco. Choosing the right ingredients helps. She shared that many professional chefs like her mixes dark and light soy to benefit from best soy flavor combination. Basically, the light soy is saltier and thinner, while dark soy has a that sweet flavor component. You can use dark soy in cooking to make dark sauces. On the other hand a light brown sauce use a lighter color soy, or a smaller quantity of a dark soy. while using a small amount of soy. A cooking demonstration is really a good opportunity for a budding chefs and cooking enthusiasts to learn how disparate flavors will interact. I also learned how to use the right tools and gears that will make dinner preparation a breeze. 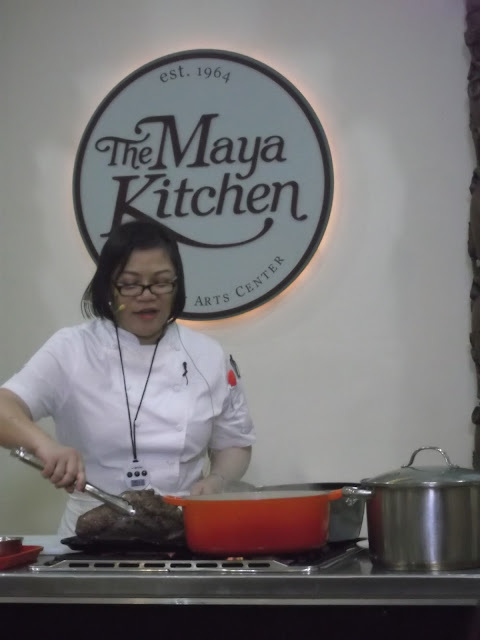 Enjoy and learn the fundamentals of nutritional cooking and baking at The Maya Kitchen! The Maya Kitchen gives any startup cook an edge with its up-to-date courses that meet global standards. Do visit www.themayakitchen.com or follow them on Twitter @themayakitchen for more information and course schedules.